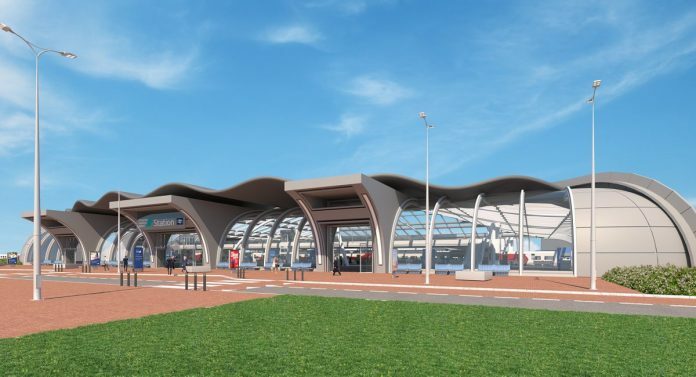 Planners in South Yorkshire have proposed building a railway station at Doncaster Sheffield Airport (DSA) as part of ambitious plans to create a “highly sophisticated aerotropolis” in the Sheffield City Region. The 20-year vision outlines how up to 73,000 jobs could be created and 3,000 homes built at the airport’s 1,600 acre site, known as Aero Centre Yorkshire. 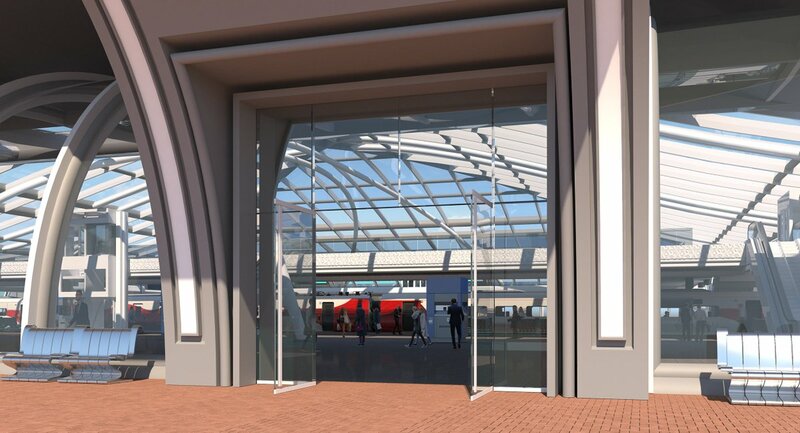 At the heart of the project, which includes plans to double the size of the terminal, is the construction of a new £170 million station, which could be open in five years should plans get the green light and funding be secured. 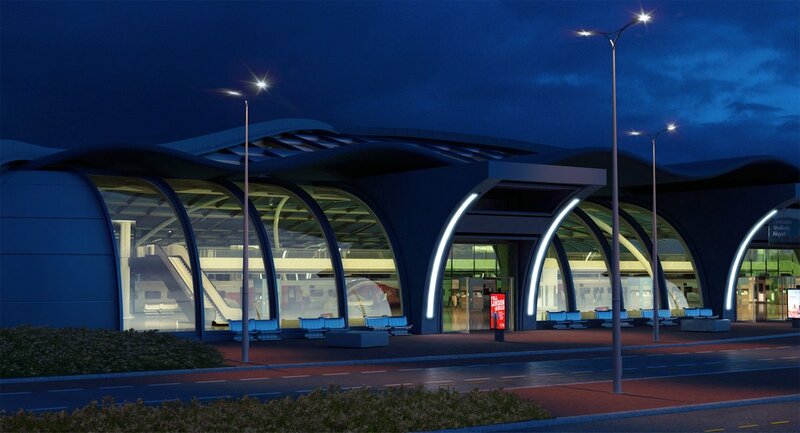 Connected to the East Coast Main Line from a site off of Hayfield Lane, the station would require seven miles of new track and provide a direct link to London and Newcastle in under 90 minutes. It would serve the airport’s passengers, onsite workers, new housing and employment areas – an estimated 1.6 million people per year by 2037 – and boost regional tourism and the number of passengers at the airport. If plans for the new station do not progress, alternative plans exist for a community railway station on the existing Doncaster-Lincoln line as were previously mooted in 2008. The nearest rail access to DSA is via Doncaster station, from where passengers have to use the dedicated bus service. Doncaster mayor Ros Jones described the size of the plan’s economic benefit as “unrivalled” and said that it will make a long lasting contribution to rebalancing the nation’s economy. The masterplan will now go out for public consultation.